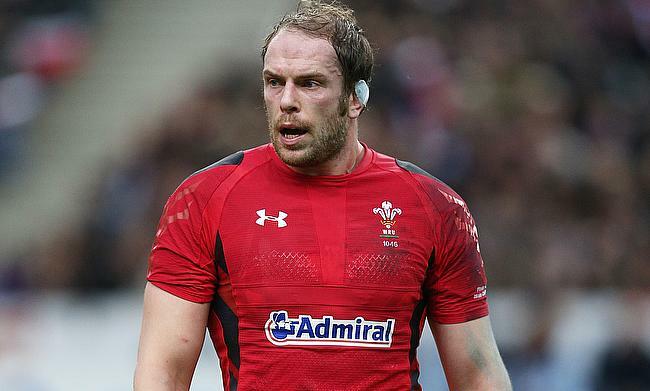 1/ Alun Wyn Jones - a warrior, a leader and his action in wrapping the mascot says it all. His rugby knowledge and adaptability allow him to play 8o minutes. 2/ Josh Adams - one of the young guns at Worcester Warriors, his performances have been monumental for Wales. Under the high ball he’s accomplished, he takes his chances and has pace. 3/ Braam Steyn - there was an expectation we’d be talking about Negri and Polledri; instead Steyn has been the most consistent high performer of the 6 Nations. He certainly matched Ireland’s O’Mahony in his lineout exploits both as a disruptor and attacking option. 4/ Guilhem Guirado - the French team are difficult to explain and to be their leader must be considered the ultimate leadership challenge. Guirado led by example at all times, attacked every scrum and delivered lineout success. 5/ Mark Wilson - his impact on the England team has been huge. He tackles and breaks the gain line time after time. He has a maturity, perhaps he’s not part of Eddie’s leadership group but to the naked eye he’s got what it takes. He creates a balance in the back row. It’s two fly halves, Sexton and Farrell. Both came into the 2019 6 Nations with high expectations. Neither have quite delivered but for different reasons. Sexton has enjoyed front football from the Irish pack, and with that he’s pulled the strings; culminating in the defeat of the All Blacks. Fast forward to the 6 Nations and without that dominant pack he seems to have under performed. Farrell has had captaincy thrust on him and that seems to have disrupted him. He has been targeted in the channel with ball carriers seeming to tempt him to ‘no arms’ tackle or use that shoulder. That has not impacted his kicking nor his ability to distribute on the gain line. He’s a class act and will not let this impact his future performances. Most of us had heard of Hawick before the 6 Nations but maybe not Darcy Graham. He stepped up when Scotland needed him. He scored tries and demonstrated amazing footwork; a pleasure to watch him. His performances for Scotland 7s have been on display since 2016 but a tremendous 6 Nations puts him on a whole new trajectory. Sale Sharks have two of them, the Curry brothers. During this year’s competition, England used Tom as their openside flanker. His tackle and turnover stats have enabled him to stand out from the crowd. He has an enormous engine and strength at the breakdown that defies his young years. A shooting star that will light up the 2019 Rugby World Cup.